Outpost Club brings coliving to the next level by combining coliving and coworking at an affordable price. 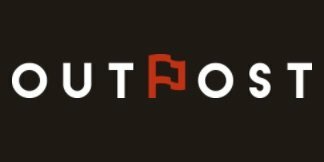 Outpost Club provides end-to-end co-living services to tech startups, entrepreneurs, digital nomads, freelancers, remote workers, professionals, students, and anyone looking to move to a new city and meet new people. Coliving is a shared housing model. Members share kitchens, living rooms, and other common spaces with all members, and have a private or shared bedrooms of your choice. Everything is included in our flat fee: utilities, wifi, furniture, appliances, kitchen supplies, and anything else you would need upon moving into a new place. All you need to bring is your suitcase. Fill in the application, have a brief interview, grab your suitcase and move in! You’ll meet new people who will become your friends for life. Even though New York houses millions of people, many of us feel lonely due to their housing arrangement and the individualistic nature of urban American culture. Despite this, at Outpost Club’s co-living locations, you’ll never come home to an empty house, and you will never feel alone. Bedford House: Brooklyn, New York. The Flatbush House: Brooklyn, New York. Knickerbocker House: Brooklyn, New York. The Ridgewood House: Ridgewood, Queens, New York.